~ Top quality Columbus Ohio photographers and videographers. For many of us, our pets are a big part of our family. While your terrier might not be able to give you a toast, it might be possible for you to include your pet in your wedding. A guest of honor. If you don’t think your pet will be able to handle the work involved in being a part of the wedding, it can still be great to have them there as a guest. Dressing up your pooch for the big day and having him on hand can be fun, but make sure your venue will allow him inside. Ring bearer. If your dog is well-trained, you can have her deliver the rings to you at the altar. You can buy or make a ring pillow collar. If you aren’t sure she’ll walk straight down the aisle, consider having an usher with a leash. Picture perfect pup. 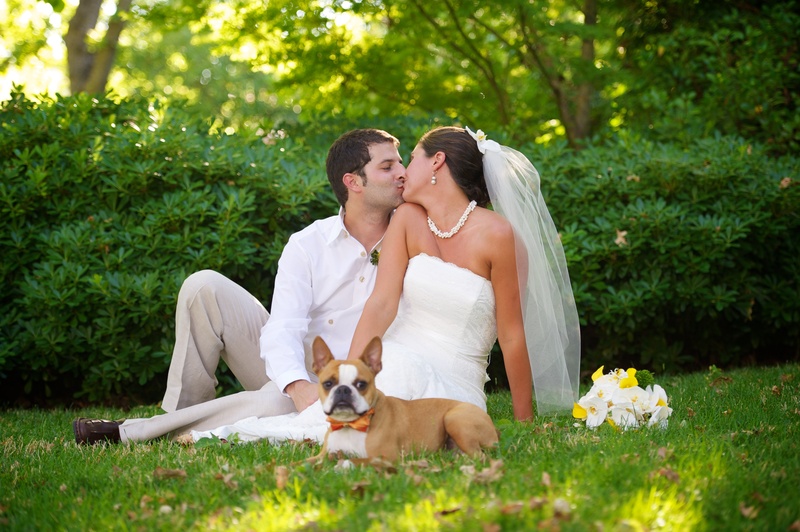 If you can’t include your dog in your wedding ceremony, you can still include them in the photos. Having your dog brought in for the photos can be a special way of including him in your big day without needing to worry about how he’ll behave all day. If you’re thinking of including your pet in your Columbus wedding, give us a call to find out how to make them part of your photos. Are You Going to Enjoy Your Wedding?